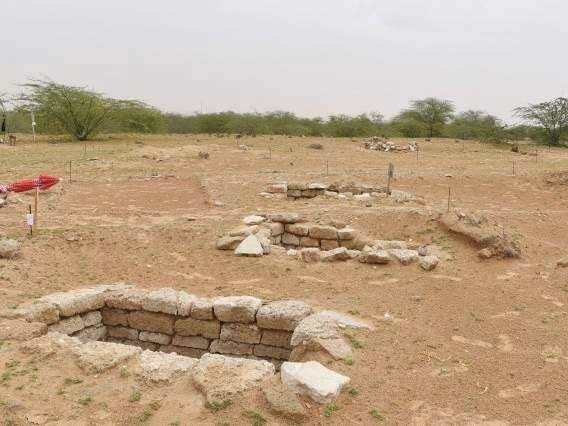 Umm Al Quwain: Excavations carried out by the Department of Tourism and Antiquities at the archaeological site of Ed Dur in Umm Al Quwain have unearthed 15 tombs, settlement remains, bronze statues, pottery and jewellery, dating back to the 1st Century AD. Coins from the time of the Greek emperor Alexander the Great were also found, Alia Al Gafli, Director General of the Department, the official news agency WAM reported. Sometimes called ‘Arabian Alexanders’, the coins were circulated widely in the eastern Arabian peninsula around the beginning of the Christian era. The discovery several years ago of a stone mould for making coins at Mleiha, Sharjah, confirmed that some of this coinage was minted in the UAE. “The excavations project is in line with the strategy of Umm Al Quwain Government to support archaeological exploration across the emirate,” Al Gafli said. The objective is to learn more about the region’s history through identifying more burial sites and by excavating more material, she added.